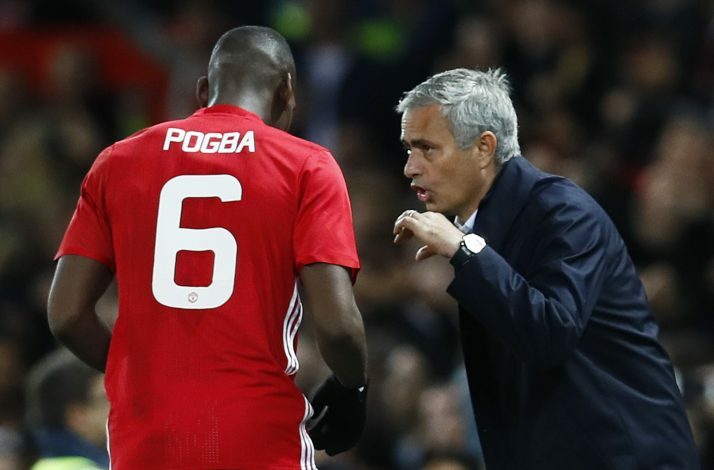 It is no secret for regular football fans that Paul Pogba hasn’t been on the best of terms with his current club manager Jose Mourinho. Pogba was brought in by Mourinho in the same year he took charge of the club, and the Frenchman was expected to light up the Premier League with his gift of skill and ease in scoring goals from midfield. However, the midfielder struggled to live up to the hype through much of the first as well as second seasons in the red shirt. His apparent lack of form and overall negligence, coupled with a questionable attitude appeared to have angered his boss, who controversially subbed Pogba off in a few games and even outright left him out of the squad on important match days. The extent of the sourness in the relationship came out sooner rather than later, making this an unnecessary bump in the road to success for United last season. Though tensions between player and manager appear to have eased now, reports from France Football state that in order to end all doubt of a possible Pogba transfer from Manchester United, possibly due to altercations with his gaffer, Jose wants the 25-year-old to get rid of his controversial agent Mino Raiola, who has only been adding fuel to this already raging fire. Manchester United And PSG To Swap Their Superstars? Raiola has been handling operations for some of Europe’s biggest stars, including Zlatan Ibrahimovic, Henrikh Mkhitaryan, Marco Verratti, and Mario Balotelli, and has constantly teased that Pogba could be on his way from Old Trafford for a deal worth around €100m. The likes of Barcelona are rumoured to have been interested in luring Pogba away from his current team, but it looks as if Mourinho is determined to keep his man for at least another season, and would be successful in his mission to do so, provided Raiola is kept out of the head of United’s special talent.